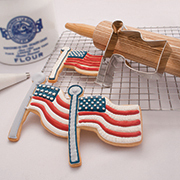 Plant your flag with cookies made from Ann Clark's Flag Cookie Cutter. 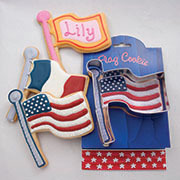 Send flag cookies to the armed forces, celebrate July 4th or St. Patrick's Day and so much more. 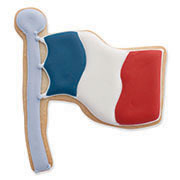 Celebrate your national heritage or have some holiday fun with flag shaped cookies. Made in the USA. I really like the cutters and are very sturdy. The only concern is rust has already started around the folded top edge. I have only used them once. I washed and dried them well. 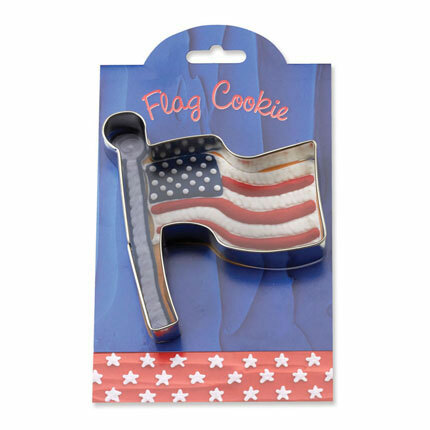 I even put them on the range top to dry while the cookies were baking. I hope they will not show any more signs of rust!